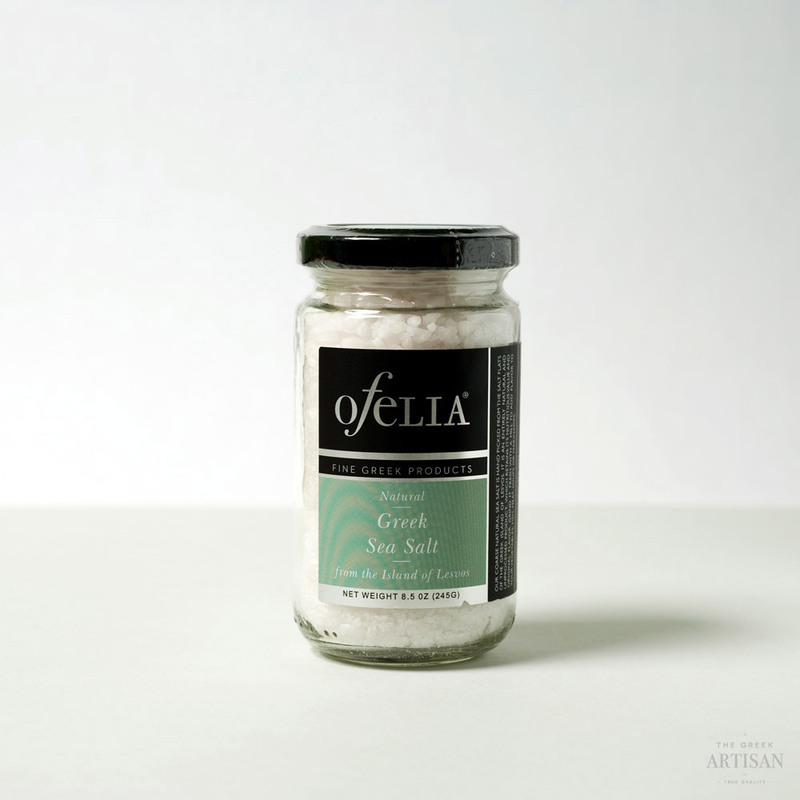 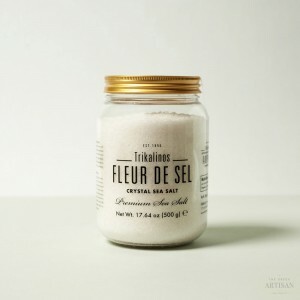 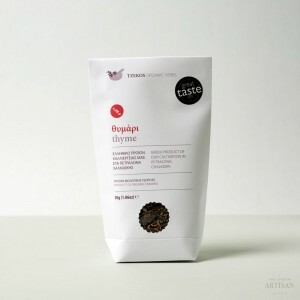 This coarse natural sea salt is hand picked from the salt flats of the Greek island of Lesvos. 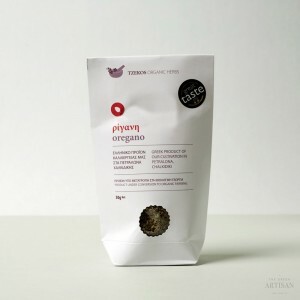 It is an entirely natural and unprocessed product, which retains its nutritious value and original flavor. 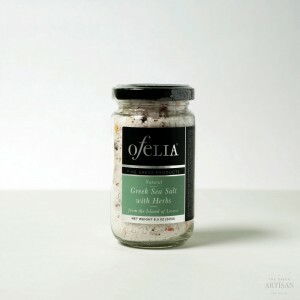 Grind it fresh with a mill to add flavor to your vegetables, fish, meat, soups or marinades. 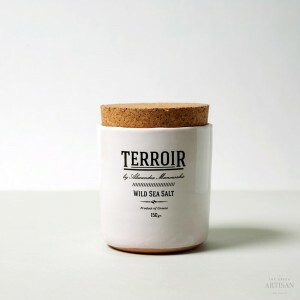 Made of: 100% natural sea salt.